When you lease an Acura, you’re privy to flexible terms and affordable payments. Why wouldn’t you want to lease? 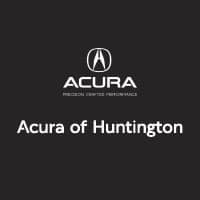 At Acura of Huntington, we’re here to help you throughout the entire lease process, from beginning to end, whether that means keeping your car or moving on to something else. About 90 days prior to your lease expiration, it’s time to start thinking about your options: buy the car, extend your lease, lease another model, or simply turn in your keys and walk away. Sometimes, this choice comes down to how much you’ve paid on the car, what its value is currently, and what condition the vehicle is in. If you love your Acura car and want to keep it after your lease, you can purchase it from our Acura dealership near Bayshore, NY at the residual value stated in your lease agreement. If you would like to extend your lease instead to take more time to come to a decision, we can likely accommodate that as well. You may also sign up to lease a new Acura SUV or car if your needs have changed, but want to continue to reap the leasing benefits. On the other hand, you can simply return the vehicle to us and walk away. If you choose this route, keep in mind that there are fees that may apply due to excessive mileage, wear and tear, and other factors. Regardless of which option you choose, our financial representatives are happy to help. For a streamlined leasing process, there’s nowhere better to turn than Acura of Huntington. Whether you want a new Acura car for sale or to keep driving your current vehicle, you’ll find the support you need at our Acura dealership serving Long Island, NY. We look forward to working with you soon!